Mother's Day is one of my favorite days of the year because I know that I will be able to wake up without a to-do list and have the day to focus on myself. As mothers, we sacrifice all of our time + energy all year long to take care of others. This Mother's Day -- let's focus on loving ourselves so we can have the energy to love our families to the fullest! 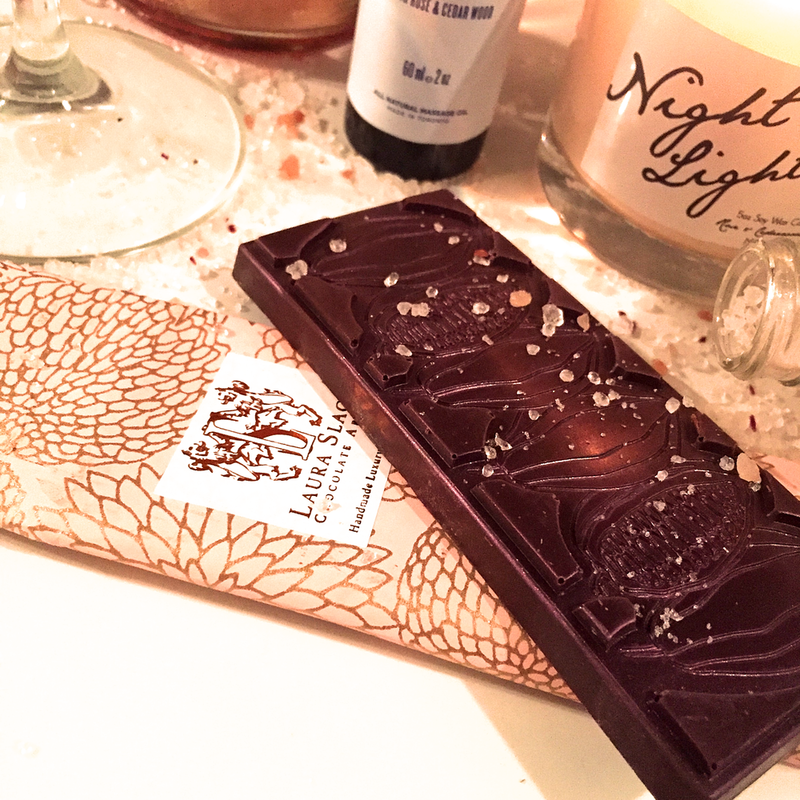 CHOCOLATE- dark chocolate & cream caramel artesian chocolate bar by Laura Slack. BATH SALTS - Wanderlust rose and ylang ylang bath salts by Wildwood. CANDLE - Rose & cedar candle made exclusively for Present Day by Kerry Lee. A woodsy, lightly floral scent suitable for both genders. 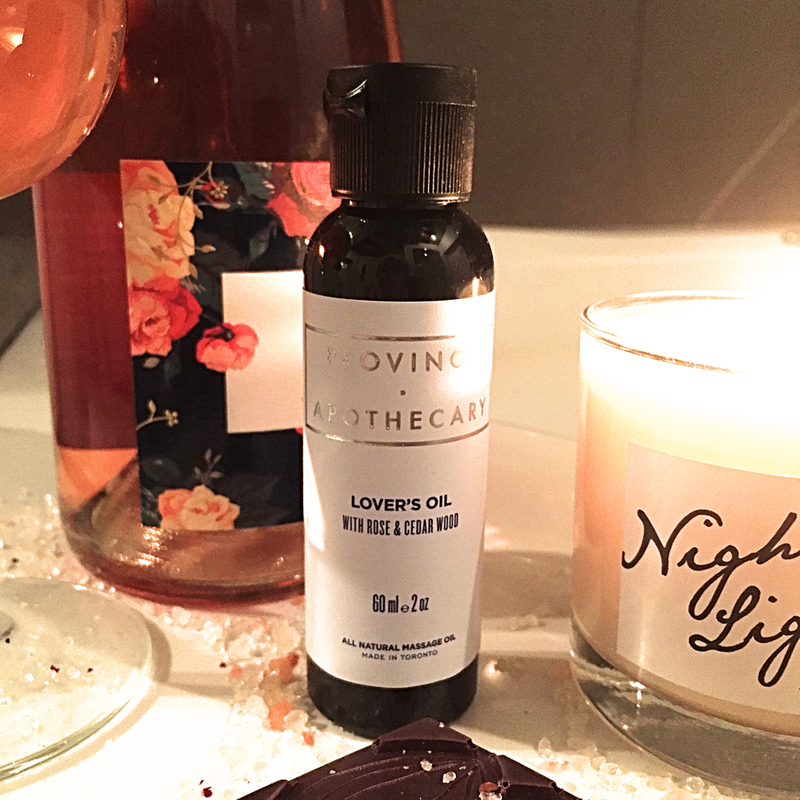 OIL - Lover’s Oil all-natural massage oil by Province Apothecary. Made with rose and cedar wood oil bestowing a light, natural fragrance that will excite your senses. BUBBLY- Lola Rosé is the perfect way to celebrate any occasion. Dry, with a full flavour. BOX OF ROSES BY PRESENT DAY- Present Day Gift Boxes + Baskets includes all of the previous items + more! This all inclusive gift box includes dark chocolate, wine, bath salts, massage oil, dried flowers, and a candle. Present Day Gifts has many gift boxes and baskets to choose from for every occasion. They can even be customized for the special person in your life! Present Day Gifts is a local Toronto company created by Sophia Pierro, with a passion for creating something beautiful from local goods. Happy Mother's Day to all the beautiful women in my life. I hope your day is filled with loving yourself as you love your little ones. This post has been sponsored by Present Day Gift Boxes + Baskets.